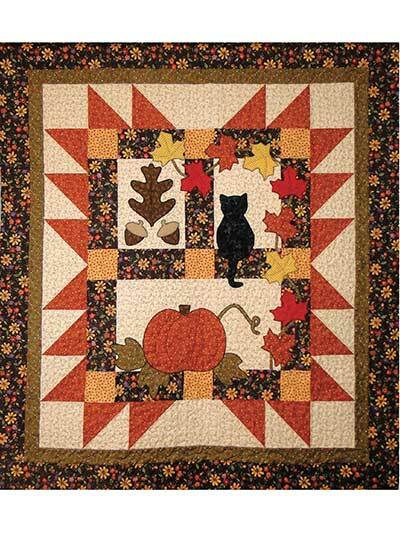 Get ready for the fall with the Autumn Motifs quilt pattern! 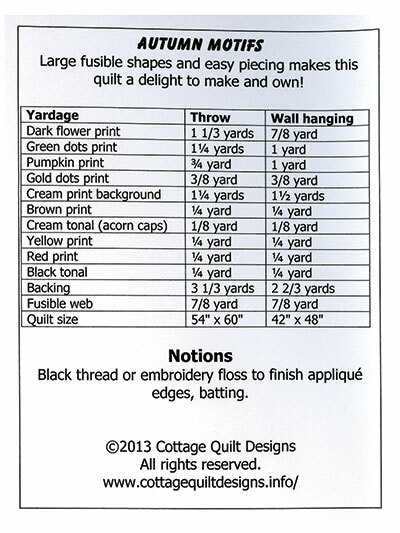 Large fusible shapes and easy piecing makes this quilt a delight to make for yourself or a loved one. Wall hanging: 42" X 48"